Nearly four months after dropping his video for Gold, Los Angeles emcee, Quincey White, is back with the fourth video for his latest EP, White Noise. This time delivering a new Cole Eckerle-directed video for the standout title track. 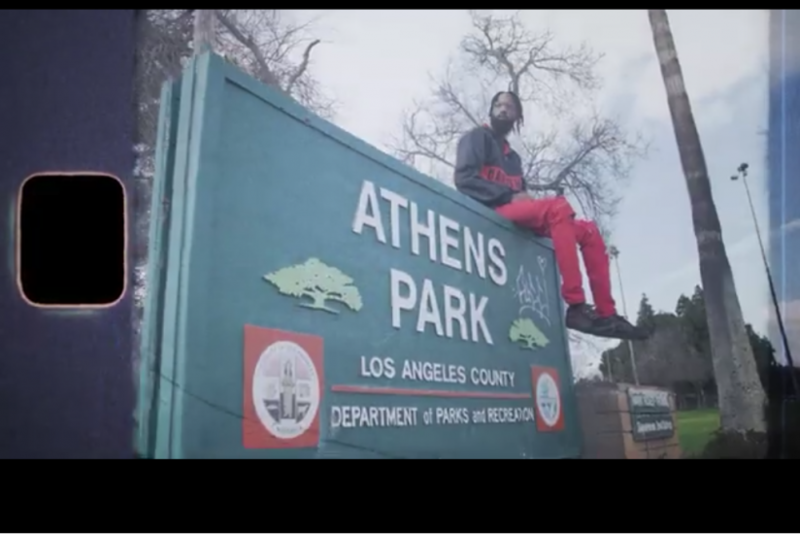 White takes it to the streets and courts of Athens Park in his South Central L.A. neighborhood for the simple, yet dope new visual. He has now shot videos for all, but three tracks from the EP. This latest one, which you can watch below really showing the palm trees and beautiful scenery there’s even in the most “hood” neighborhoods in Los Angeles. As White over the triumphant backdrop raps and performs the street, yet still very inspiring and motivating lyrics about making it “out of the ghetto” in the new clip.